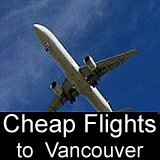 Everything you Need to Know About Using the Airport Taxi in Vancouver for Getting to Downtown Vancouver Hotels, Whistler and the Victoria Ferry. Getting a taxi at Vancouver Airport! Taxis at Vancouver International Airport (YVR) operate 24 hours a day every day of the year! They are the quickest way of getting from the airport to hotels in downtown Vancouver, Richmond, and to the ferries for Victoria & Vancouver Island. Vancouver Airport taxi cabs are safe and reliable, and use fare meters to determine exact cost. The drivers speak english, and all cabs are maximim 7 years old. Where do you pick up a taxi at Vancouver International Airport? Taxi stands are located just outside the exit doors in both the domestic and international terminal buildings. Watch for the green signs indicating taxi pick up location. 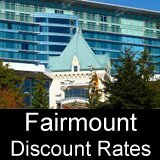 What does a taxi cost from Vancouver airport to downtown Vancouver hotels? Usually about $25 to $30. Travel time is about 30 minutes. If you arrive at YVR between the rush-hour times of 7AM to 9AM or between 3PM to 6PM, the rate and travel times will be slightly higher (45 minutes, and approx $30 to $40). Airport Taxi in Vancouver Tipping: Standard is about 10 to 15%. What about a taxi from Vancouver airport to the Alaska cruise ship terminal? 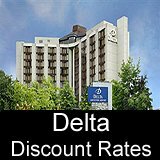 Cost and travel times are about the same as for downtown hotels. Is the Taxi to Airport Hotels cheap? Not as cheap as a free hotel shuttle! But if your hotel or inn doesn't offer one, expect the cost to be about $5 to $10 for a taxi to most airport hotels close to YVR in nearby Richmond. Can I take a taxi from Vancouver Airport to the Victoria Ferry Terminal? Yes. To get from the airport to the Tsawwassen Ferry terminal, the cost is about $55, and travel time is about 30 minutes. (this Vancouver Island ferry terminal is for ferries to Victoria and the Gulf Islands). A taxi from Vancouver Airport to Horsehoe Bay ferry terminal costs about $65, and travel time is 45 minutes to 1 hour. Horseshoe Bay has Vancouver Island ferry service to Nanaimo, and also ferries to the Sunshine Coast. There are, of course, other options for travel from YVR to the Vancouver Island Ferry Terminal. Is it possible to take a taxi from Vancouver Airport to Whistler? Sure! Prices vary, but expect to pay about $250 for the 2.5 hour ride from YVR to Whistler. Whistler Taxi offers the service which is worth checking out because in some cases it can be cheaper than taking the bus or renting a van. Bonny's Taxi - check online for special request ordering of wheelchair accessible Taxis, 5 seater taxis, smoking vehicles, and cargo and animal transport.